Winterreise - Horn with Piano Reduction. 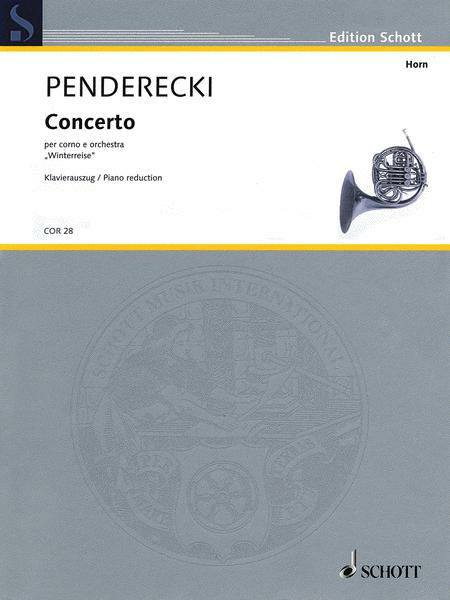 Composed by Krzysztof Penderecki (1933-). Arranged by Alexandre Ouzounoff. Sheet music. Brass Solo. Contemporary, Classical. Schott Music #COR28. 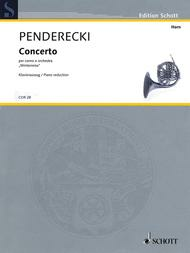 Published by Schott Music (HL.49044746). For horn with a piano reduction by Alexandre Ouzounoff. Revision 2009.